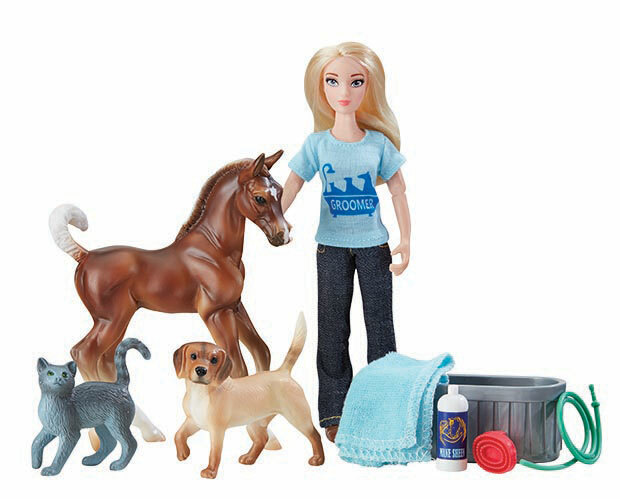 This engaging set from Breyer Model Horses includes everything needed to help the groomer get the animals clean and looking great. Includes: 6" articulated doll, pony, cat, dog, water trough, towel, shampoo bottle, and curry comb. Classics Size Models.